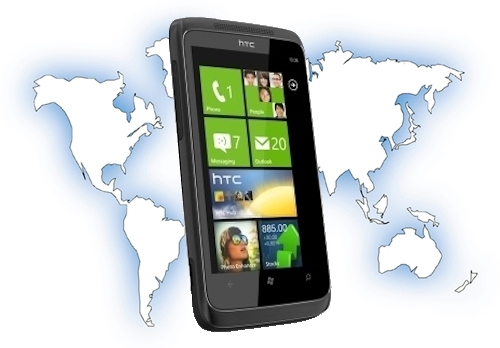 "First some good news: the Verizon HTC Trophy is definitely a global CDMA/quad-band GSM phone. This has technically been known since November, but since then we have had little to no word on whether that would still be the case.Luckily, our insider managed to snag a screen shot of the Settings --> Cellular, where you can see the "Mode selection", from there you can see the CDMA/GSM settings being available to the end user. That's a huge win for Verizon customers as this makes the Trophy the first Windows "world" Phone for the carrier, something that many had wanted to Sprint to offer with the 7 Pro (especially if it's a business device). Incidentally, we hear the phone is very fast and fluid, specifically that the 'NoDo' update gets rid of the Marketplace "scrolling lag". Schweet." A knock that is commonly used against Verizon and it's CDMA network is that the phones can't be used in other countries. The vast majority of the world uses GSM. So a CDMA phone in countries other than the US can often end up being slightly more than a fancy flashlight. But that won't be a problem with the HTC Trophy. With the ability to take on a SIM card, this phone will let you travel the world in style. And when it gets dark, you could use a regular flashlight. You wouldn't want to use up your phone battery since you might decide that you want to actually make a call. Check out the link for more details. The world awaits you.